You are here: Home » Clicks for Homeschooling | How You Can Make a Difference! Clicks for Homeschooling | How You Can Make a Difference! Did you know that you can support homeschooling by simply shopping online? Pretty amazing, right? 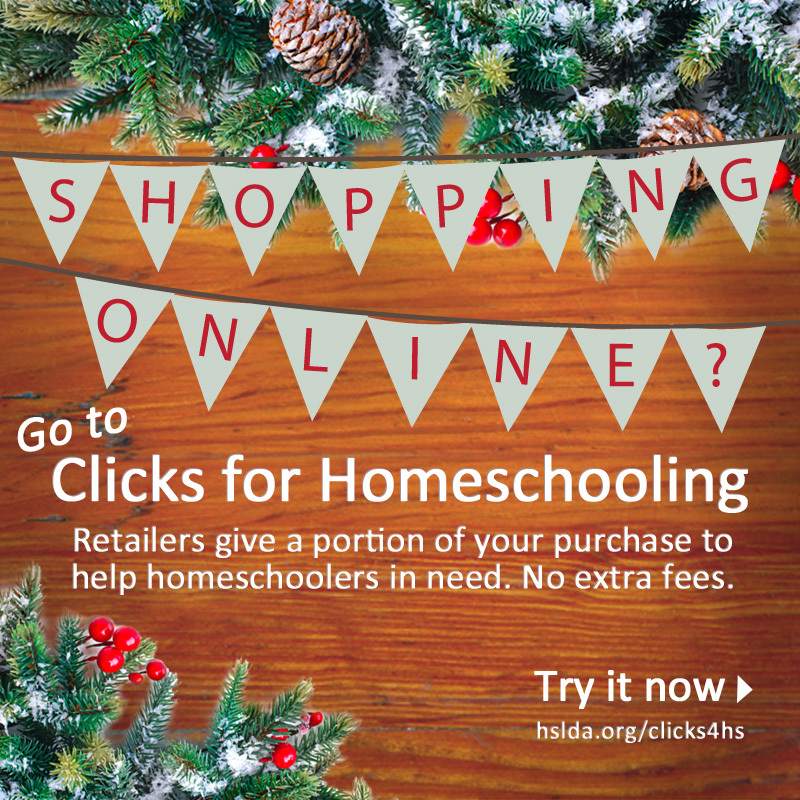 You can support homeschoolers in need while you shop online—at no extra cost to you! When you buy an item from Amazon, Barnes & Noble, BestBuy, Christian Book Distributors, Family Christian, Groupon, Kohl’s, Target, or 200 other popular sites, you have the opporunity to enter that site through HSLDA’s Clicks for Homeschooling portal! And when you buy an item(s), the Home School Foundation will receive a percentage of the proceeds from your purchase! How neat is that? You can support homeschooling, and aid other homeschoolers through HSF just by doing a task so ordinary―SHOPPING! 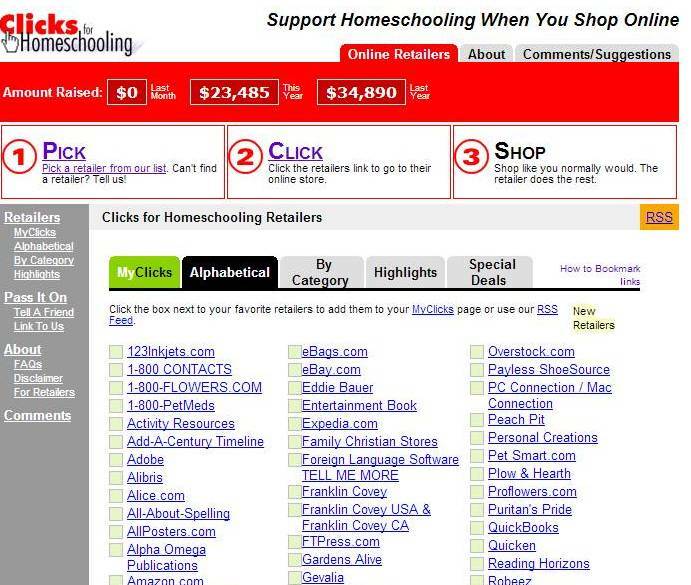 Visit Clicks for Homeschooling (hslda.org/clicks4hs), and find your favorite online store from our list of over 200 stores!